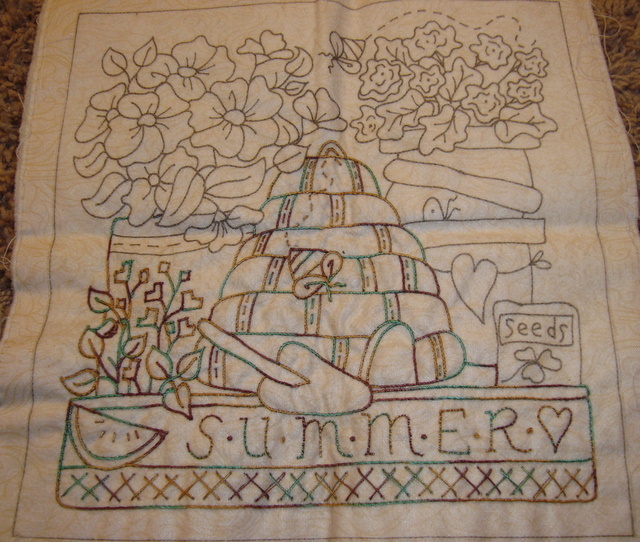 Projects…Projects..if I Only Had the Time! I have so many projects going its ridiculous! A couple week ago I was really missing quilting so I started saying “yes” to any project that my boss or my mom threw at me. So I have a stack of projects just calling my name but I don’t have time!!! I have a couple days off this week so I am taking a quick couple minutes to post some pics of some of my projects (remember this is only a few!) and then I am heading to my room to sew like crazy!!!! Wish me luck! I was helping vend at the MN Quilt show this past weekend and after the first day I found it was very hard for me to just to stand and talk to customers. I needed something to do! So I brought my embroidery and got a lot done! That’s the nice thing about hand work. You can take it where ever you want! I was able to take a couple minutes during the weekend to walk around the show. I didn’t get to the quilts though I couldn’t get away from the vendors!…..unfortunately I fell in love with fabric!!! :/…so I had to take some home with me! 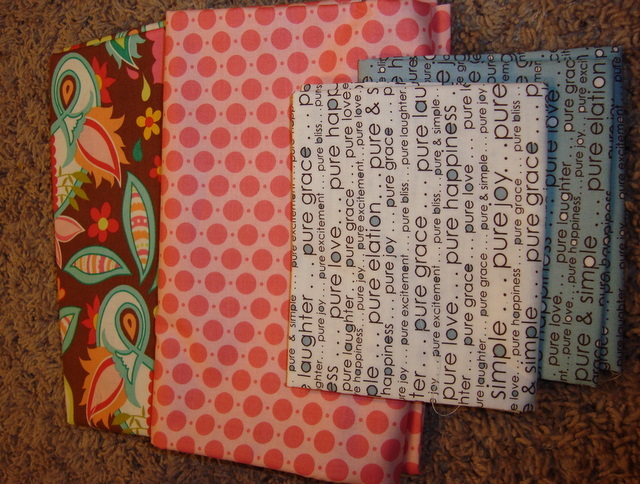 I have a plan for the top two fabrics …..but I have no idea when I will be able to put that plan into effect!!! Ah well such is life! Well, I had better go and bury myself into my projects! I will post pictures as they are completed!